Check out the entire page - lots of information follows! Morse Code / CW Communications skill. Are you on LinkedIN? Join the Morse code group. I'm Tomas David Hood. I am a Radio Amateur (Extra), living in Omaha, Nebraska. I enjoy having two-way communications by way of shortwave radio signals, in the Amateur Radio hobby. The Shortwave bands are in the High Frequency radio spectrum. I especially enjoy the art of using Morse code (more specifically, the International Morse Code) in radio communications. The International Morse Code, sometimes referred to as 'CW' in Amateur Radio jargon because a continuous wave is turned on and off with the long and short elements of the morse code characters, is a type of character encoding that transmits telegraphic information using rhythm. Morse code uses a standardized sequence of short and long elements to represent the letters, numerals, punctuation and special characters of a given message. The short and long elements can be formed by sounds, marks, or pulses, in on off keying and are commonly known as "dots" and "dashes" or "dits" and "dahs". The speed of Morse code is measured in words per minute (WPM) or characters per minute, while fixed-length data forms of telecommunication transmission are usually measured in baud or bps. 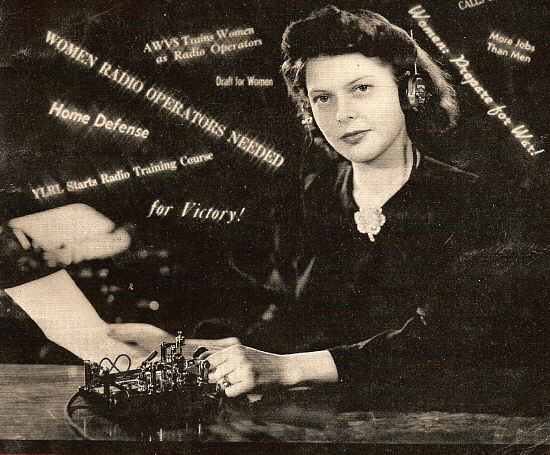 Currently, the most popular use of Morse code is by amateur radio operators, although it is no longer a requirement for amateur licensing in many countries. In the professional field, pilots and air traffic controllers are usually familiar with Morse code and require a basic understanding. 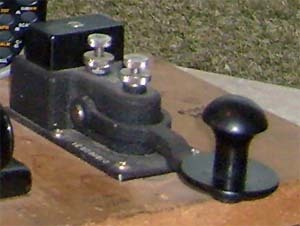 Navigational aids in the field of aviation, such as VORs and NDBs, constantly transmit their identity in Morse code. Morse code is designed to be read by humans without a decoding device, making it useful for sending automated digital data in voice channels. For emergency signaling, Morse code can be sent by way of improvised sources that can be easily "keyed" on and off, making Morse code one of the most versatile methods of telecommunication in existence. 1. De-mystifying HF radio propagation. 2. Is HF Propagation Reciprocal? The Advanced Ham and SWL Propagation Software for Ham and SWL operations. ACE stands for Animated Communications Effectiveness, a coverage display technique originally developed for U.S. Navy submarine communications. ACE-HF PRO is the System Simulation and Visualization propagation modeling and forecasting software for Hams and Short Wave Listeners. 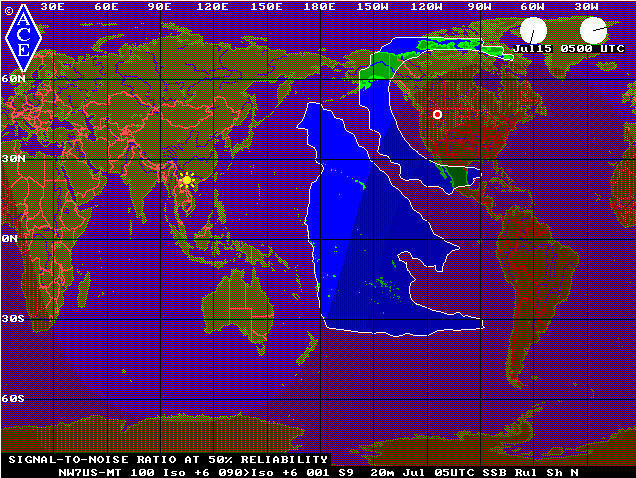 ACE shows when the HF bands will be open in different world areas. Check it out, today. According to the Search Engine Roundtable, the folks at Google put the logo into Morse Code in honor of Samuel F. B. Morse's birthday today. Morse was born on April 27, 1791. Various reports credit Morse as inventor of the telegraph and of the code that bears his name. That is actually only half correct. While Morse did indeed invent the telegraph, his original code was a series of numbers that corresponded to word-entries in a book at each telegraph station. It was Morse's assistant, Alfred Vail, who actually developed the dot-dash code that allowed any word to be sent efficiently, without the need for "translations." Google regularly gets creative with its logo in order to honor special people or events, with a particular focus on pioneers in science and technology. While there is nothing official, we are assuming that the letters in the logo are staggered in order to fit within the standard space allotted on the web page for the Google logo. What does 'CW' really mean? From Jim Wades, WB8SIW come the following inforation regarding the origins of the term "continuous wave." Here is his abridged version. The first radio transmitters generated RF by discharging a high voltage spark across an L-C resonant circuit, which was coupled to the antenna. Each spark discharge across the gap would "ring" the L-C tuned circuit, which would then oscillate at its resonant frequency with decreasing amplitude until the decay was such that oscillation ceased. This created a "damped" oscillation analogous to ringing a bell or plucking a guitar string. The biggest problems with spark transmitters were occupied bandwidth, resulting in relatively poor efficiency, and the fact that they could not be modulated. This problem was solved through a number of approaches, which produced "undamped oscillations," also called "continuous waves." The earliest methods of producing an undamped oscillation were the arc transmitter and the radio frequency alternator. Both were usuable only at very low frequencies, and both produced RF directly at high power levels, which were difficult to modulate. However, such systems remained in service well into the mid 1940s, and one Alexanderson long-wave alternator remains intact and operational in Sweden as a museum piece. With the development of stable, good quality vacuum tubes in the 'teens, it became possible to develop a "modern" RF oscillator. Better yet, a RF oscillator could operate at low levels and be buffered and amplified in stages to produce reasonably high power levels. Furthermore, such vacuum tube oscillators could be conveniently modulated. Therefore, immediately after World War One and through the 1920s, we begin to see a variety of applications arise centered around voice communications including radio broadcasting, police radio, and point-to-point SSB circuits for international telephone service. The term "continuous wave" during this early period emerged as a tool to differentiate a modern radiotelegraph transmitter generating undamped oscillations from its antecedent, the older spark transmitter producing damped oscillations. Over time, as the spark technology receded into the past, the term "CW" became somewhat idiomatic; a term used by radio operators and engineers in reference to all radiotelegraph communications. From Gil: As I was pondering about learning Morse code, which I mistakenly considered a small detail, it hit me.. Morse archaic, when? Aren't many of the skills we like to learn archaic? Trapping, hunting, food preservation, living off the land, field medical procedures, camping, building shelters, etc. The kind of skills that can save your bacon when everything else fails. Morse is one of them! It can be used without a radio. You can tap your fingers, blink your eyes in Morse, and nobody but the intended recipient across the room would know.. You can bang on a pipe with a wrench, hit a drum, squeeze someone's hand, use a flashlight or a laser pointer to send a message in Morse. If regular means of communications were down, because of an electromagnetic pulse for instance, a simple telegraph could easily be built without using semi-conductors. The wires are already all around us. See the full discussion, here: Radio Preppers: The Ever Useful Good Old Morse Code. In general, my Amateur Radio (hobby) station runs 100 watts, transmitting out of an Icom IC-7000 (pictured, above). When I operate any digital modes, I am using the KK7UQ home-built digital interface with the Ham Radio Delux + DRM software. 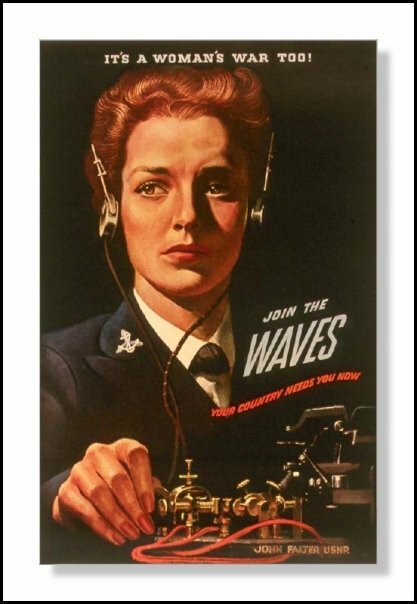 However, the unique and useful aspect regarding Morse Code in this hobby is that I do not need a computer and software to decode the received CW, or to send Morse Code; I can decode and encode communications with my ears and brain! So, when I operate my Amateur Radio station in the CW mode, I do so without anything but the Icom radio, the CW key, my ears and brain, and the antenna. My antenna is a multi-wire dipole. The dipole antenna has wire dipoles for 80, 40, 30, and 20 meters. That means that I can also work 15 meters. With a good antenna tuner (like the Ten-Tec as shown above), I can work all of the HF Amateur Radio bands. Operating in the CW mode is efficient and effective in terms of getting a signal from point A to point B, and back again. CW mode is more efficient than a mode such as the Single-Sideband (SSB) voice mode. There is a scientific reason behind this fact. The comparison, below, of the area coverage footprint a 100-watt SSB signal and the footprint of a 100-watt CW signal shows how much more efficient CW is over SSB. Click on either map to see a full-size view. 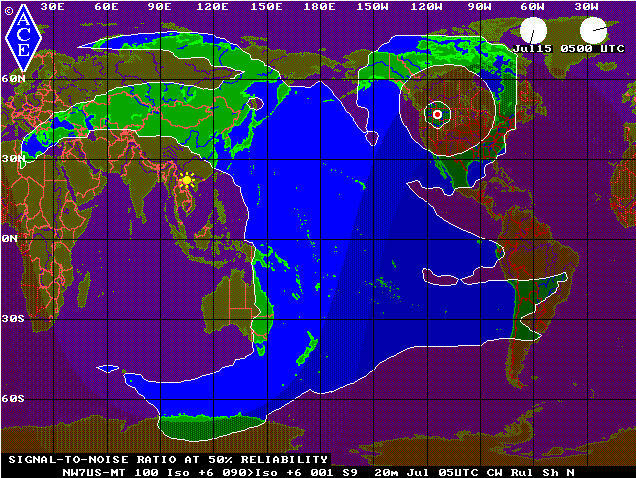 These area coverage maps were created using ACE-HF Pro, version 2.05. "8 GOOD REASONS FOR NOT GETTING ON THE AIR"
1. I CAN'T COPY VERY WELL Copy skills get better with time and practice. Nerves is certainly a factor at first. The answer to nerves is exposure. Get on the air and practice those skills. After all, you're not copying vectors for a brain exploration surgery, just fun stuff. What if you do miss some? Eh? 2. I MAKE MISTAKES IN SENDING Who cares? Everyone does! If you show me an op who sends flawless CW, I'll eat my hat. Even keyboarders make mistakes. Its what you do when you make one that is the measure of an op. A good op corrects his mistakes. When you glide past mistakes it leaves the other guy guessing. 3. MY CW IS VERY SLOW Accuracy transcends speed! Accuracy is absolute, while speed will increase/improve over time. What you DON'T want is to get faster at sending poorly. Fast and poor are an awful twosome. Practice sending well, at a speed which is comfortable for you. You WILL make mistakes, just correct them and move on. 4. I GET LOST IN QSO'S As many have suggested, by writing down the parts of a typical exchange/qso, you will be better able to get through a qso. Its really funny how few comments are directed to spelling. Spelling slows us down and trips us up in many qso situations. When you practice off-air, its fine to use a sheet of text, but I find that sending as if in a qso is much more helpful. Practice this by sending out of your head. You'll get used to sending off the cuff and your spelling will improve tremendously. If ragchewing is your goal, keep your exchanges short, at first. Don't try to say too much in one exchange. That way, it will give you time to think about what you'll say next, and will slow the other op down as well. That will make his transmissions easier to copy. Keep it casual, and don't let it become hard work. 5. MY PALMS SWEAT Keep a hand towel at your operating desk. My palms sweated on my first date too but, it didn't stop me. Remember, no one can see you! Try PRETENDING you're as calm as a cucumber. Think of yourself as a "take charge" op who can handle any situation. As an op thinkest, so shall he be on the air. One particular activity that improved my confidence and ability to handle most situations was learning traffic handling on the Maryland Slow Net. Net speed was maximum 10 wpm (and flexible), the instructors were patient and considerate. That training gave me the confidence I desperately needed. I'm now an Instructor and Net Control Station on that Net and watch the transformation of new ops from tentative and unsure to ops who would be welcomed on NTS traffic net throughout the country. Its easy and painless and proceeds at the new op's own pace. Even if you don't become an active traffic handler, the training is invaluable for learning general operating practices. 6. PEOPLE WILL THINK POORLY OF ME Bull Crap!!! Everyone expects new / inexperienced CW ops to be somewhat tentative, make some mistakes and miss some copy. They expect it because THEY PERFORMED THE SAME WAY WHEN THEY WERE NEW / INEXPERIENCED. Some well-meaning ops, in an attempt to sooth the nervous new op will say, "Aw, no one will notice your mistakes" Bull crap! Of course they notice them! They'd have to be idiots not to. BUT, no one cares about a your mistakes. This is a hobby, a means of having fun. It WILL be fun if you stop agonizing over it. The amount of fun you have at CW is inversely proportional to the amount you worry about it. 7. I'LL DO IT WHEN I GET BETTER That's fine if you like spending your time procrastinating. "He was gonna get on the air tomorrow" would make a unfortunate epitath. 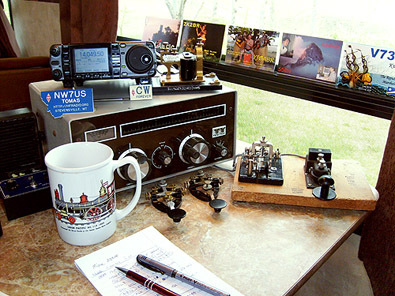 "He really enjoyed his ham radio hobby and his CW" is a much nicer one. I waited until I was over 60 to finally get started in Ham radio. I often think of how much fun I could have had over the years if I had just bitten the bullet and jumped in. Now, I'm trying to make up for lost time. But, we all know that's impossible. 8. I HAVE PROBLEMS WITH THIS OR THAT TYPE OF KEY Ok... use whatever you're good with, and develop your skills on the others at your own pace. Whatever you do, don't try to swage your fist into a type of key that frustrates you. Learning new skills, while not easy, should be fun. Measure your progress in small chunks. Don't set your goals too far ahead. You must be able to see progress. If speed improvement is your goal, measure it one word per minute at a time. Don't try to go from 5 wpm to 10 wpm. That's doubling your speed! It would be like me trying to go from 35 wpm to 70 wpm. Never happen, go from 5 to 6. Then to 7, and so on. This is the BEST way to learn Morse code, in MY opinion. Koch Method CW Training software, by G4FON. I USE THIS. IT WORKS. My most favorite straight key (single, up-and-down action) is the World War II Navy Straight Key. It is identified as a "CMI-26003A", which translates as follows: 'C' for Contracted Out, 'MI' for Molded Insulator (the company that was contracted to make the key), '26' for Straight Telegraph Key, and '003A' for the model number and revision. Here is a website that shows you how to decode these keys: U. S. Navy Telegraph and Wireless Keys. This site will feature resources covering CW / Morse Code communications. History, educational aids, stories, links, and news. This site is a living resource, in that it will continually be updated and edited. I hope to make this a one-stop center where you can find everything you need to assist you in attaining a deeper skill and knowledge of Morse Code communications. I AM LOOKING FOR SUGGESTIONS, REQUESTS, STORIES, AND RESOURCES regarding CW / Morse Code communications. Are you looking for something and wish it were on the web? Tell me. Simply send an email to me and let me know. If you have any stories or other information, links, etc., please let me know so that we can make this an excellent resource for those trying to learn about CW. Thanks! Visit one of the oldest continuously updated ham radio sites on the Internet: K3WWP's Ham Radio Activities. This site is dedicated to CW and QRP (Low Power, or less than 5 watts out) operation. A true gem. I belong to this club: North American QRP CW Club (I'm member 1774). Sign up for free. BUT LEARN INVALUABLE SKILLS. Modern Morse Code in Rehabilitation and Education: New Applications in Assistive Technology, by Thomas W. King -- designed to acquaint new learners with Morse Code and its clinical uses, while providing in-depth coverage of topics, detailed descriptions, examples, and explanations that will meet the needs of professionals. The author explains how basic body movements can be used to convey information to listeners and computer devices that translate Morse movements into speech, text, and graphics. In addition to covering the history and background of Morse Code, this book contains specific instructions on how to teach, learn, and use Morse and other encoding methods in clinical settings. This book also contains and describes many practical teaching aids and methods. For readers interested in the use of Morse Code in a clinical setting. The N7CFO Telegraph Page -- Lynn has been collecting telegraph keys and instruments for nearly 30 years. Check out his information. FISTS - A "FIST" is a CW ops' reference to another ops' keying characteristic. This site is the official FISTS website with award information, net schedules, and more. The Art and Skill of Radio-Telegraphy 3rd Edition by William Pierpont/N0HFF - an interesting and helpful read. HF Mobiling - One perspective. GREAT stuff. And, here's information About Me. Check out this interesting article about Aurora and Telegraphy, and this page as well as this one. I believe it is critical and essential to raise the standards in the technical questions used in testing applicants to the Amateur Radio service. Technology is ever moving forward. We need to have a base of knowledgeable license holders who understand this technology and the use of such. Ever since I was a young child, I have been inspired by the great Amateur radio operators who introduced me to new technology and concepts used in the telecommunications. I joined the military with a desire to serve my country using my passion and skill in radio and communications, in part because of the technical challenge that the Amateur community exemplified. The current trend to make the licensing requirements less technically challenging will undermine the foundation that the fathers of Amateur radio have laid. I don't think that we must require a morse-code (CW) test in order to establish this standard. Morse is just a mode of operation, as well as a language. We do not need to test for English comprehension, nor for the ability to operate PSK-31. However, we must test for technical understanding and along those lines I wish to see the 'bar raised'. Amateur radio in the United States of America represents, in part, the people, government, and culture of our country. We should lead the world in technology and skill. We must uphold the standard that would instill and motivate applicants to aspire to a high level of competence and to become effective ambassadors of the United States, to the world through the telecommunications we enjoy. Monitoring Times Magazine Contains news, information, and tips on getting more out of radio listening. Do you own a radio, a shortwave receiver, a scanning receiver, or a ham radio? Then Monitoring Times® is your magazine! Open a copy of MT, and you will find 92 pages of news, information, and tips on getting more out of your radio listening. In fact, it's the most comprehensive radio hobby magazine in the U.S. Packed with up-to-date information concisely written by the top writers in the field, Monitoring Times® is your foremost guide to profiles of broadcasting and communications installations; home projects; and tips on monitoring everything from air, sea, and space to distant ports of call. copyright, 2000 - 2013, Tomas Hood (NW7US), all rights reserved.